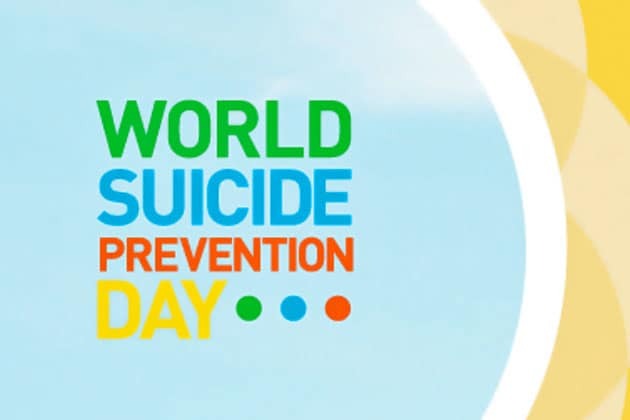 What are you doing for World Suicide Prevention Day – Are you going to wear purple, light a candle in a window, cycle or take a minute, change a life? If you are doing any of these things then that’s great. But what about the day after? The 11th September, what will you do then? Will you stop and just get on with your day to day life until next World Suicide Prevention Day comes along or are you willing to carry on – to take the next steps in continuing to make a real difference? Are you going to get clued up about what to do if someone close to you appears to be in turmoil, appears to be crying out for help, appears to be in a place where you need to ask the question “are you thinking of ending your life?” and then actually ask the question. …are you willing to listen, non-judgmentally, as to why they may want to die? Are you going to help them realise reasons for living?…and if so, are you clued up as to what services, what options, what possibilities there might be to help this person live if they so choose? For me, Suicide Prevention is not all about being aware of services, but it is all about being aware of what you can do to make a difference. Being aware of what you are capable of. Suicide prevention is not the sole responsibility of mental health services. It is not the sole responsibility of suicide prevention organisations…and nor should it be… It is everybody’s business…everybody’s responsibility. So what are you going to do about it…not just on World Suicide Prevention Day, but also for the rest of the year?